I sweat, a lot. 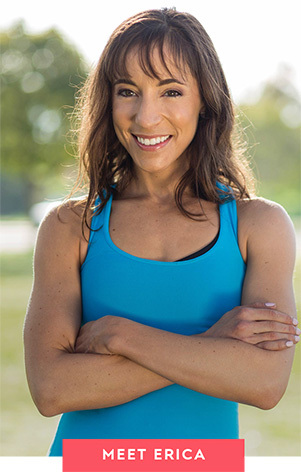 When I leave a fitness class (no matter what it is) I’m usually bright red, covered in sweat, and perfectly “fresh,” as my husband likes to say. Post-workout meals are always fun, but he usually gives me the “it’s time to shower” look about ten seconds into my first bite 🙂 My body loves and craves workouts and classes, but over the years they’ve taken a toll on my body. And I’m not just talking about being sore. I never spent a lot of time earning about beauty products and proper skincare. I used regular over-the-counter face wash and moisturizer, got a facial once a year, and kept my face clean. But when I hit the big 3-0 something changed. All of a sudden, pores, anti-aging, masks, and my aging complexion become top of mind. I’ve started to realize how important it is to take care of myself, skincare especially. 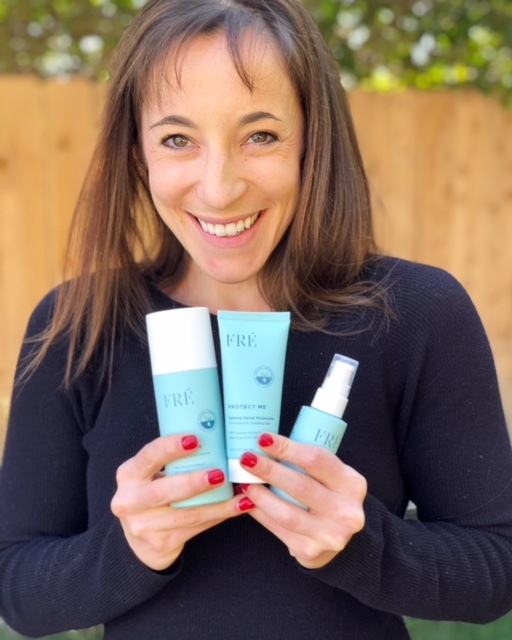 Doing a bit of research online I discovered FRÉ Skincare, the first skincare line formulated for skin that sweats. I saw photos of active women (like me) with glowing skin talking about all of the amazing benefits they’ve had from using the product. So, I got curious. I loved the natural and healthy glow I saw in every pic. I ordered my first 123FRÉ set in December 2017, and I’ve been using the product ever since. The 3-step routine is super easy to follow and includes an anti-aging serum (Revive Me), hydrating facial cleanse (Purify Me), and ultra-light SPF 30 moisturizer (Protect Me). 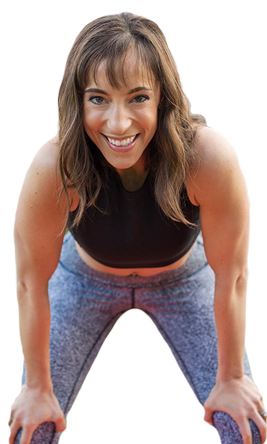 FRÉ specializes in combatting workout-induced skin damage and the signs of anti-aging accelerated by my lifestyle: sweat, exercise, and sun. The product is an investment, but I’m three months in and still on my first set! The best part is my skin looks amazing and my husband is always commenting on how soft it is. Working up a sweat is good for your body in so many ways, both physically and mentally. There’s no way I could give that up! But I have gotten smarter about my skincare routine. 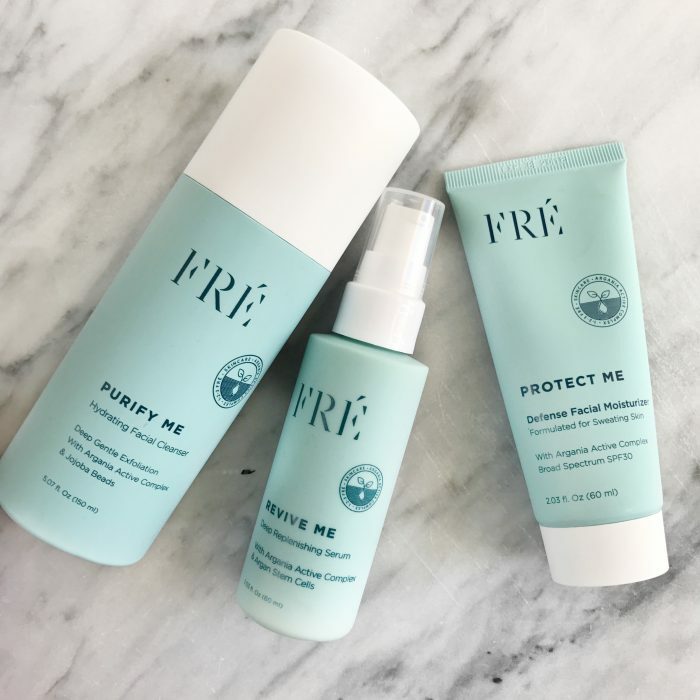 FRÉ products help treat sweat rash and other issues that pop up, like blisters, bumps, pimples, and more. I know that no matter what I do, FRÉ is going to help protect, purify, and revive my skin day in and day out. Ready to try FRÉ? Use code “SITUPS” for 15% off your purchase (yes!). This post is sponsored by FRE Skincare. As always, all opinions expressed are genuinely my own.